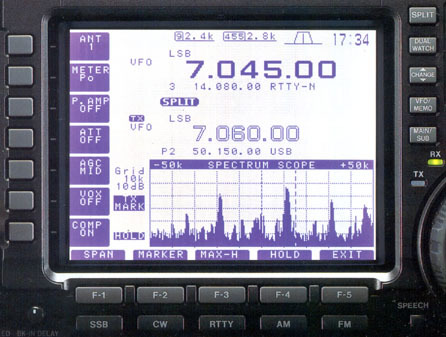 The Icom IC-756 features a 4.9 inch (diagonal) multi-function high resolution, full dot LCD display. The exciting spectrum scope functionality allows you view the spectrum in 4 selectable widths (± 12.5, ± 25, ± 50 or ± 100 kHz). The LCD has adjustable contrast, backlight and switch/meter backlight levels. Copyright 2005-2018, Universal Radio, Inc.